How do I buy a NCSPlus Business Opportunity? Turn your Business Knowledge into Profits with the Ultimate Business Opportunity! If you are ready to make the transition from Corporate VP, Corporate Officer or employee to CEO where you own and run your business, this is exactly what you have been looking for! We are interested in highly motivated, experienced entrepreneurs who would like to own their own cash flow management company using our company’s 35 year proven product which has been accepted Nationwide by over 35,000 of our business customers. Most exciting is that we have taken our proven marketing system and transferred it to a turnkey, internet based video format which will provide you unlimited growth potential in your Exclusive Territory as an Authorized NCSPlus Exclusive Agency. 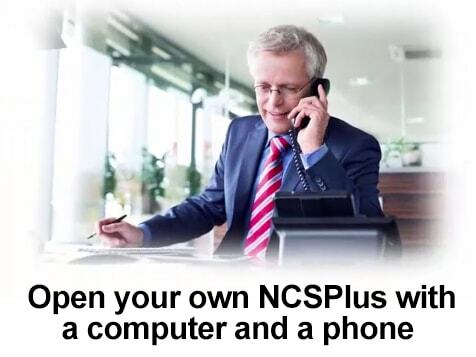 Open NCSPlus in any of these available states: AL, AK, AZ, AR, CA, CO, CT, DE, GA, HI, ID, IL, IN, IA, KS, KY, LA, ME, MD, MA, MI, MN, MS, MO, MT, NE, NV, NH, NJ, NM, NY, NC, ND, OH, OK, OR, PA, RI, SC, SD, TN, TX, UT, VT, VA, WA, WV, WI, WY, DC. NCSPlus has a 35 year history as a Nationwide leader in the cash flow management solution for over 35,000 businesses in the United States. They were established to provide business owners with a superior alternative to conventional contingency collection agencies. Clients save up to 80% of the cost to manage slow and delinquent accounts compared to what traditional agencies charge. They provide business owners a comprehensive accounts receivable management system and put technology to work to generate the maximum recovery for every small, medium and large business. Unlike most collection agencies where 30-50% is typically charged to collect a delinquent balance, as a mass volume wholesaler, they only charge a low one-time flat fee of typically less than 10% per account. No Percentage is charged. 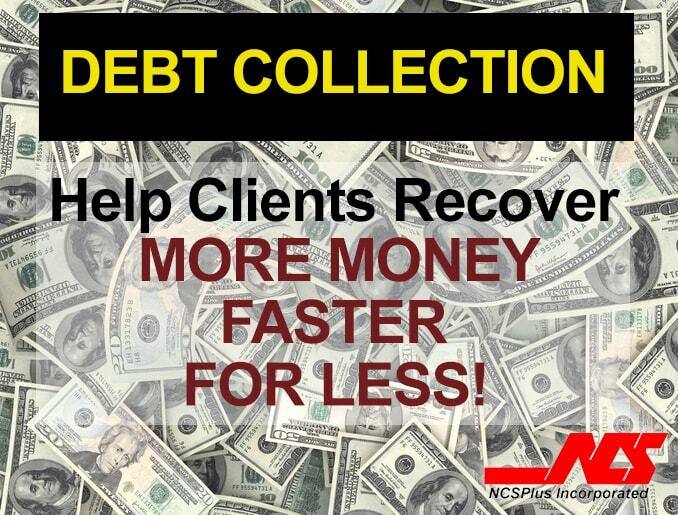 All collected monies are remitted directly to the client -- not to the collection agency, or if the customer prefers, they will handle all of the debtor payments and send them a check for 100% of what is collected for the same Low Flat Fee per Account. They even provide Attorney letters if clients want one at no additional cost. 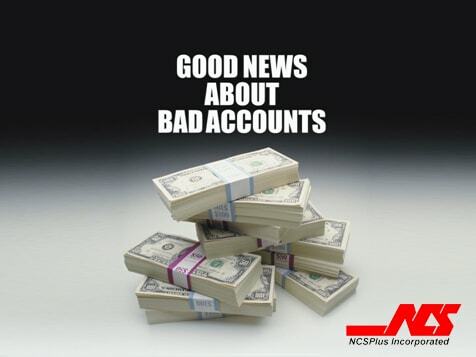 NCS is committed to maintaining the financial integrity and profitability of all clients. Their highest priority is to keep the communication between their clients and their customers. They don’t use harsh tactics which can alienate customers, rather their highly-trained All U.S. Based Collectors are persistent, but always courteous and professional, and as an Authorized Exclusive Territory Manager, NCSPlus does all the work (Letters, Phone Calls and Credit Reporting) for your business customers and you simply manage the distribution of the NCSPlus Video Brochures using the automated turnkey NCSPlus Custom CRM System and then field the responses and orders that result from that distribution of the NCSPlus Video Brochure. ASK YOURSELF: If you were a business paying some collection agency 30% to 50% to collect your company’s delinquent debt and getting only 17% of that delinquent and slow pay debt collected, wouldn’t you jump at the chance to collect on those same delinquent accounts for a cost of less than 10%! And even better still, getting triple the number of those same accounts to pay you compared to the paltry 17% you were getting from your current collection agency! The video brochure sells this exact proven service for you and it includes the details on the Benefits and Features of our NCSPlus System. This system is needed by nearly ALL the businesses in your Exclusive Authorized Territory, large or small. You simply gather and enter the contact data for the businesses and industry in your area into the NCSPlus Automated System. Then, the system automatically distributes the Video Brochure and you just manage the responses and negotiate the contracts generated from the video brochure in your exclusive territory. The credit and collections industry is one of the largest industries in the country today. The impending expanding credit economy ensures you will continue to prosper. NCS serves a constant need and in an inflation-proof, recession-proof industry. When economic times are bad, money gets tight, interest rates climb and a slowdown in accounts receivable payments occurs. Businesses need their money faster than ever before, and our industry benefits. When the economy is good, credit granting becomes more liberal, more accounts receivable are created and our industry gets even better! Inflation or recession, boom or bust, regardless of the economic climate, our industry continues to expand and prosper. Nearly All Businesses Large or Small! 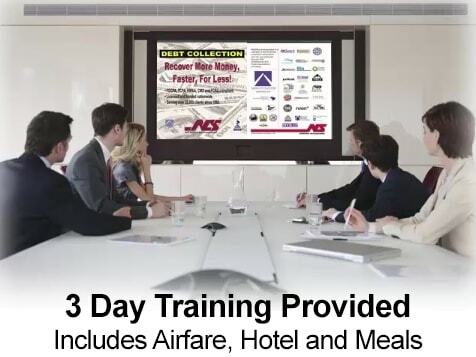 NCS is seeking business entrepreneurs who understand the new power of Online Video Presentations and who wish to participate in a Multi-Billion Dollar industry with one of the Top Ten Accounts Receivable Companies in the country. NCSPlus has produced proven individual sales commissions of more than $300,000 on just one sale and because this industry is profitable in both good and bad times, these services are always in demand. Are you seeking a financially rewarding business opportunity? Take the next step! Fill out the inquiry form today. NCSPlus is not currently active in our directory, but here are some other recommended selections for you to explore.